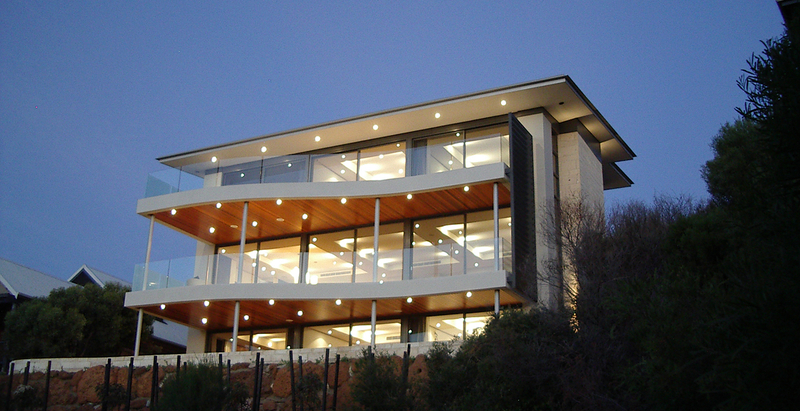 The Yallingup residence in Western Australia’s south west region complements the natural features and existing built form of the Yallingup hill area. This coastal area of natural beauty is characterised by west-facing homes with balconies and outdoor areas that take advantage of the ocean views. The design is sensitive to the characteristics and topography of the site, especially the steep slope, existing vegetation and trees. The house nestles over 3 levels into the site with entry and living areas in the middle straddled by bedrooms on the ground and upper floors. The garage is connected to the house via an elevated bridge which creates a feeling of lightness and allows the natural ground and vegetation to flow through below. 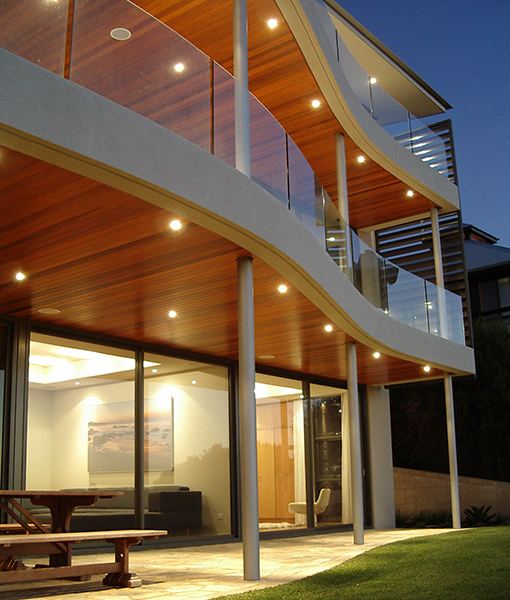 Upper levels feature curved balconies that follow the shape of the site and provide shade on the west facing glazing. 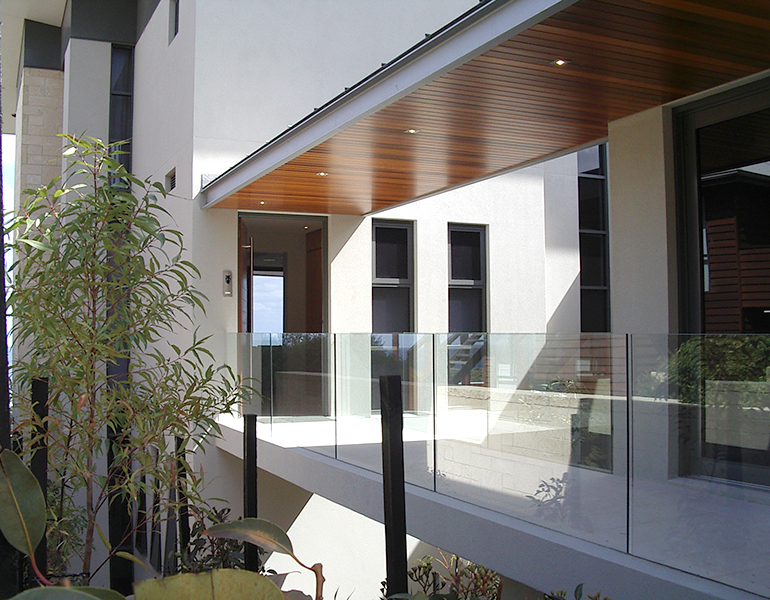 The fine profile of the balcony edges and transparency of the glass balustrade combine to create a light-weight appearance for these elements. 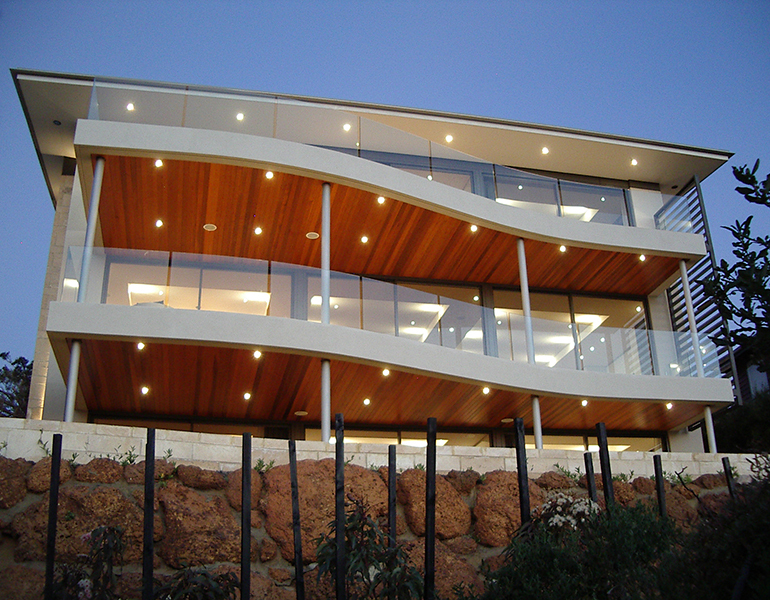 Floating over the house, the contemporary skillion roof form is evocative of the natural slope of the land. 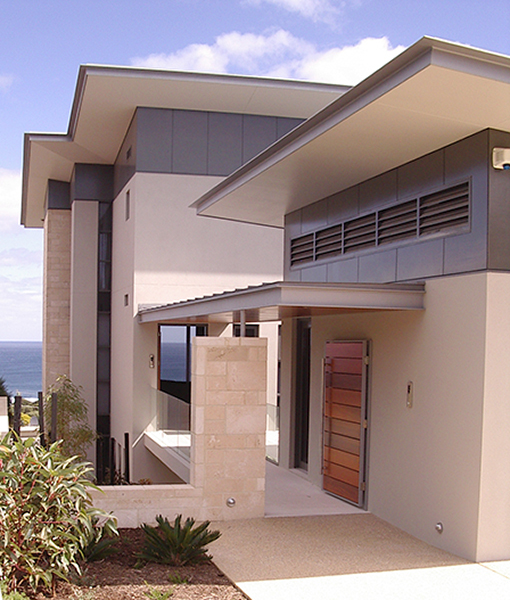 Local materials have been chosen for aesthetics and durability, and fit into the pallet of colours & materials favoured in the surrounding built fabric and the coastal environment.